Christy Carlson, GotCone blog contributor and Team Gotcone driver is set to enter her first stage rally event next weekend, Nov. 13, the Rally America Nocona Stomp Rally in Nocona, TX. Christy will be driving a 1992 Nissan Sentra SE-R, that has a long history of rallying, having competed in 20+ rally events. 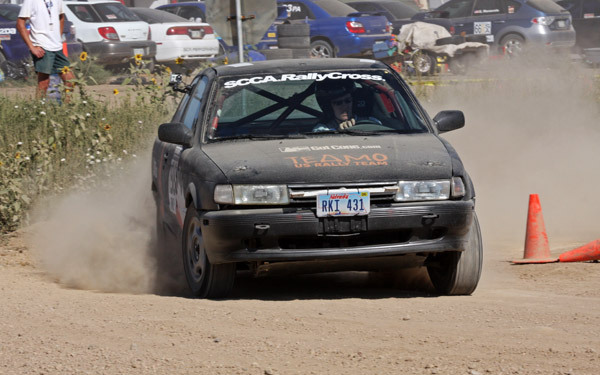 This is the same Sentra SE-R that Christy drove to a 7th place finish, just out of the trophies, at the 2010 SCCA National Rallycross Championships held in Fountain, CO.